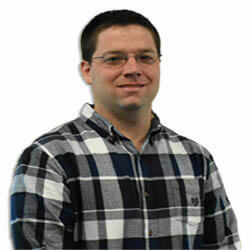 Sean Boyd is a Project Manager and Professional Engineer that brings construction and athletic facility design experience to R.A.D. Sports. His experience started at a young age growing up in a construction family and continued with the planning, designing, and permitting of dozens of athletic field facilities throughout New England. Sean has a B.S. in Civil Engineering from Merrimack College and is currently a MBA candidate at Babson College. “Throughout the project at Bishop O’Connell High School RAD Sports provided the professional services and leadership needed to work with our immediate neighbors and county inspectors. A good communication system and a regular system of field meetings helped mitigate problems that would otherwise have negatively impacted our final outcome. From beginning to end, RAD Sports’ knowledge and guidance was been instrumental in achieving this final product for our school and our community.